[Mar. 2016] Infinite-Realities have cited my MSc research in a blog post describing their “next generation photometric scanning” device. [Feb. 2011] Our Multispectral Light Stage found a place in the front cover of the Postgraduate Programmes prospectus (2011). I completed MSc in Computer Science (by research) in Oct. 2010 from the University of York (UK). Dr. William Smith supervised my MSc research. In 2009, I received the European Research and Educational Collaboration with Asia – EURECA scholarship to pursue MSc. in Computer Science (by research) at the University of York (UK). EURECA is a project funded by the Erasmus Mundus External Cooperation Window (EMECW) of the European Commission. 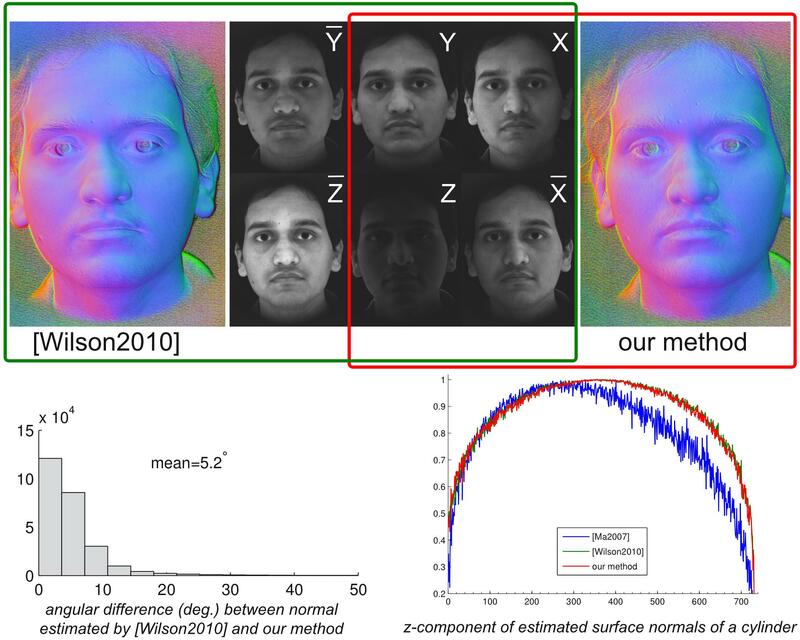 During my MSc in Computer Science (by research) at the University of York (UK), I worked on a novel face shape and reflection acquisition device called the “Multispectral Light Stage”. This device can capture highly detailed facial geometry (down to the level of skin pores detail) and multispectral reflectance map which can be used to estimate biophysical skin parameters such as the distribution of pigmentation and blood beneath the surface of the skin. My supervisor secured the “University of York Research Priming Fund” of 10,000 sterling pounds for my MSc project. We used this fund to buy the equipment (Camera, Optical filters, Beam splitter, LEDs, Intensity controllers, Geodesic dome, etc.) required to build this Multispectral Light Stage. Overall, this is an outstanding Master’s project, and an excellently written thesis document. With the exception of one theoretical glitch, my feedback can be seen as stickling over a Master’s thesis that makes some doctoral theses pale in comparison. The related work section shows impressive depth and detailed knowledge. Only minor imprecisions exist (see below). Design and Calibration of Multispectral Light Stage : We have described the design and calibration (geometric and radiometric) of an extended version of the original Light Stage. Our Light Stage design consists of a “beam splitter” based setup that allows simultaneous capture of parallel and cross polarized images. Furthermore, our capture device uses a filter wheel containing narrow band optical filters, to separately record reflectance in different bands of the visible spectrum. Novel Capture Sequence for Real Time Performance Capture : Based on our “Minimal Image Sets” analysis and building on the work of Wilson et al. 2010, we propose a new image capture sequence for facial performance geometry capture during dynamic performance. In addition to reducing the data capture requirement of Wilson et al. performance capture framework, the proposed capture sequence also reduces its computational cost by requiring alignment of only one, instead of three, pair of gradient and complement gradient images. contains only the 3D shape information, the second contains only 2D skin reflectance (texture) information and the third contains both shape and texture information. This image dataset has been used for studying the neural representation of 3D shape and texture of a human face.